You know your friend is weird, but not sure just what kind of weird they are? Get them a gift card! They can pick out stuff that matches up with their strange and particular sense of oddness. 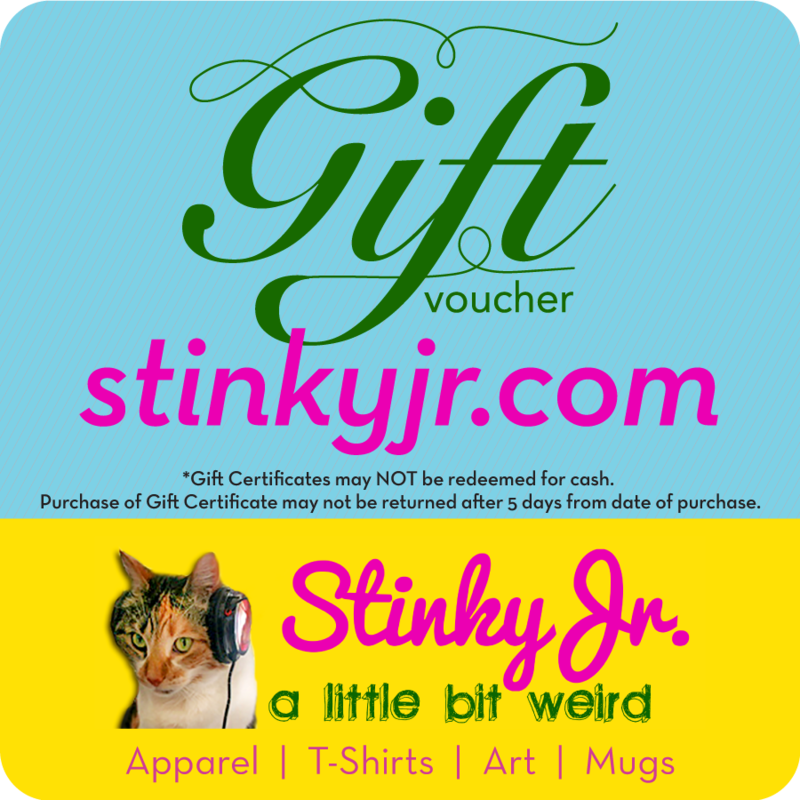 Nothing says LOVE like giving the gift of Stinky Jr! You’ll receive a transactional email immediately with the code in the receipt. Additionally, We will send you a stylized gift certificate, with the amount and the code, via email within 48 hours of purchase, perfect for printing or sending on to the recipient.